​​This ASCD 2018 Rights Catalog is dedicated to those interested in translation rights opportunities of new and popular titles vital to education leaders, teachers, and school administrators. The Association for Supervision and Curriculum Development (ASCD) is the proud publisher of 30 new front list titles each year and a backlist of more than 400 titles covering many aspects of educational leadership and teacher professional development. More than 500 translation agreements have been completed for ASCD titles. If you are interested in receiving pdf review copies of any of the available titles, please contact us at info@russorights.com or at translations@ascd.org. Bestselling Flip Your Classroom author and educator Jonathan Bergmann shows readers how to move beyond an understanding of flipped learning to actual implementation, with a focus on student home-work. This short book addresses challenges, possibilities, and success stories and gives readers the strategies they need to make the best use of homework and in-class instructional time. The active classroom is about creating learning experiences differently so that students engage in exploration of the content and take responsibility for their own learning. This book details how to design, manage, and maintain an active classroom that balances autonomy and structure. 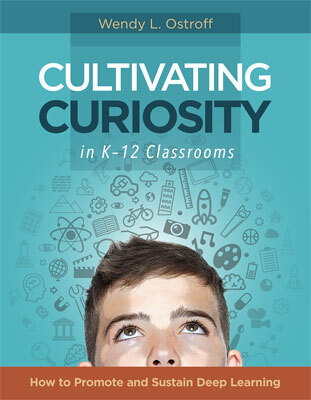 It offers student-centered, practical strategies on sorting, station teaching, and cooperative learning that will help teachers build on stu-dents' intellectual curiosity, self-efficacy, and sense of purpose. Peer feedback gives students control over their learning, increases their engagement and self-awareness as learners, and frees up the teacher to provide targeted support where it's needed. Drawing on her successful classroom practices, Starr Sackstein helps teachers gain a deeper understanding of what meaningful feedback looks like and how it can be used as a tool for learning. Fractions are fundamental to school math and daily life. For years, teaching fractions has been associated with rote memorization. But this mechanical approach to instruction has resulted in a failure of understand-ing. This book draws on decades of research and teacher practice to address seven big ideas in teaching fractions in grades 2–6. 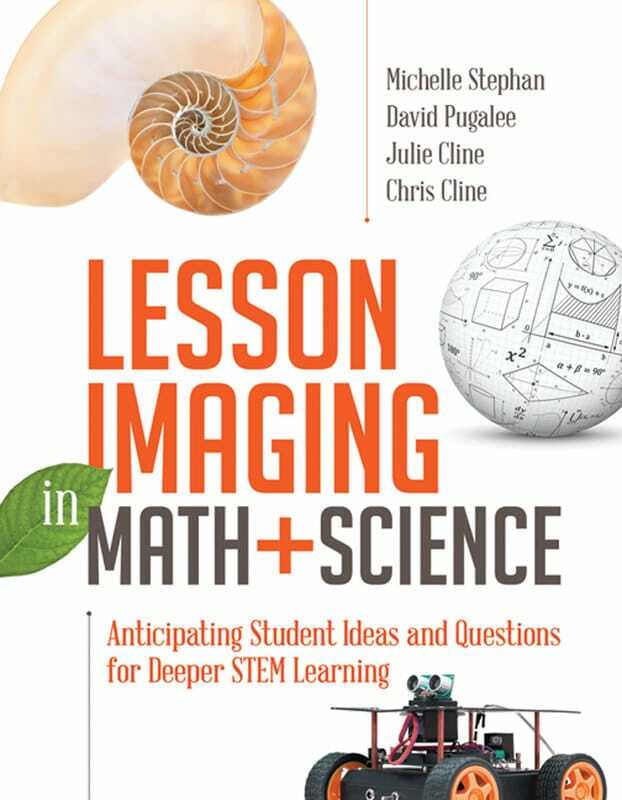 Each idea includes a vignette from a real classroom, common misconceptions, a thorough unpacking of productive mathematical thinking, and many thought-provoking, multi-step problems. Speaking from more than 40 years of experience in the field—and speaking for all learners who hope to succeed, the teachers who want them to succeed, and the local school leaders whose aspirations for success have been thwarted by assessment traditions—the author maps out the adjustments in practice and culture necessary to generate both accurate accountability data and the specific evidence of individual mastery that will support sound instructional decision making and better learning in the classroom. Written as a practical guide for teachers, this expanded edition of Tomlinson's groundbreaking work covers the fundamentals of differentiation and provides additional guidelines and new strategies for how to go about it. Teachers will learn how to help each and every student access challenging, high-quality curriculum; engage in meaning-rich learning experiences; and feel at home in a school environment that "fits." A must-have reference for busy teachers with little special education training, this book supplies classroom-tested instructional strategies that address the characteristics of and challenges faced by students with special needs. Dozens of differentiated strategies target teachers’ anxieties and provide responsive interventions that can be used to address specifics of IEPs and learning plans. The practical guidance focuses on specific disabilities and inclusive curriculum scenarios for learners in K–12 environments. Packed with fresh ideas and strategies, this courageous book offers a compelling vision from the research and hands-on work of two internationally recognized educators, authors, and thought leaders. The authors propose a new approach to pedagogy as the basis for the bold moves teachers and leaders need to make to engage all learners. They examine every aspect of K–12 education, including teacher roles, curriculum, instruction, and assessment, as well as physical and virtual learning spaces. This second edition of Brookhart's bestselling ASCD title incorporates new research on feedback and new opportunities for students to use feedback formatively to demonstrate understanding. Here is a guide that helps teachers always know how to give the right feedback for all kinds of assignments, in every grade level and subject area. Over 75,000 copies sold in the US! Why do some schools succeed while others struggle? Finally, here is practical advice and strategies that education leaders at all levels can use to build positive energy to reinvigorate their school's culture and staff. This standalone guide clarifies the difference between culture and climate and zeroes in on key school improvement efforts. Educators’ mission is to help students develop the intellectual and social strength of character necessary to live well in the world. This book helps educators rethink traditional teacher and student roles and re-examine goal setting, lesson planning, assessment, and feedback practices. It maps out a transformative model of personalization that puts students at the center and asks them to employ the set of dispositions for engagement and learning known as the Habits of Mind. Inclusion experts Villa and Thousand share more than 20 years of fieldwork and provide a systems view for principals on how to be an instructional leader in inclusive settings, using the Inclusive Schoolhouse Model, Multi-Tiered Systems of Support, co-teaching, and UDL principles. Building on the popularity of Fostering Grit, a top-selling ASCD Arias title, Tom Hoerr shows educators how to foster the "Big Five" student attributes of empathy, diversity, self-control, integrity, and grit. By focusing on skills needed for success in school and life, Hoerr proposes a wider definition of student achievement. From respected voices in math and STEM education comes an innovative lesson planning approach to help turn students into problem solvers. Dubbed “lesson imaging” by the authors, this approach involves a process of thinking through the structure and implementation of a lesson, discovering ways to elicit student thinking and foster collaboration, and becoming adept at techniques to avoid shutting down the discussion. Award-winning educator Wendy Ostroff draws on relevant child development research to show K-12 teachers how to foster student curiosity. This title includes classroom techniques to try and insights on harnessing students' drive to explore, imagine, and learn. ​Click here to read a sample from this book. 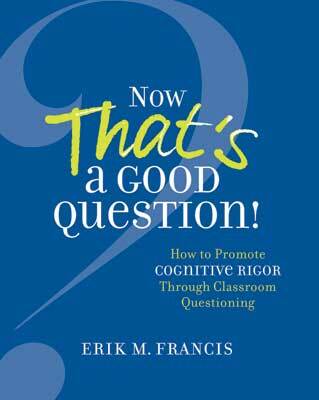 This book explores how one of the most fundamental instructional strategies: asking questions, can provide a proper framework to deepen student thinking, understanding, and knowledge application. Francis offers good question examples across various content areas and grades, as well as structures to help teachers create and use different kinds of questions. Bestselling author Armstrong explores eight key features of adolescence and related neuroscience research, and presents specific brain-based educational interventions to address each one. Includes 50+ strategies, reflection questions, and a step-by-step process for creating brain-friendly lessons across the content areas. Metacognition is a tool that helps students unlock their brains' amazing power and take control of their learning. Education researchers and professional developers, Donna Wilson and Marcus Conyers, who have many years' experience using the explicit teaching of metacognition. They share practical ways to teach pre K-12 students how to drive their brains by promoting these simple practices: adopt an optimistic outlook toward learning, set goals, focus attention, monitor progress, and engage in practices that enhance cognitive flexibility.Click here to read a sample from this book. ​​Click here to read a sample from this book. Co-published with the Council for Exceptional Children (CEC), this practical reference title clarifies what general education teachers need to know about special education. It also provides instructional best practices for the inclusive classroom. Topics include pre-referral, referral, and evaluation processes; individualized education programs and accommodations for students who do not quality for special education; transition from pre-K to K-12 and from high school to post-school life; class-room management and student behavior, and assessment, grades, graduation, and diplomas. The breadth of coverage in this book, along with its practical examples, action steps, and appendixes covering key terms and definitions provide the foundation all teachers need to successfully instruct and support students receiving special education services. In this new 2nd edition, authors Douglas Fisher and Nancy Frey show how to increase students' understanding with the help of creative formative assessments. They explore a variety of engaging activities that check for and increase understanding, including interactive writing, portfolios, multimedia presentations, audience response systems, and much more. This new book by an English teacher at the prestigious Science Leadership Academy in Philadelphia, is a roadmap for teachers who want to facilitate personalized, authentic, student-driven learning in a technology-rich classroom. It provides a clear framework and how to implement it. New author Patti Drapeau addresses the areas of imagination, innovation, and problem solving as she walks teachers and educators through the process of promoting problem solving in the classroom. Included within are rubrics, grab-and-go activities, and lesson plans that will help teachers develop the skills of fluency, flexibility, and originality to support creative thinking. All the talk of closing the achievement gap in schools obscures a more fundamental issue: do the grades we assign to students truly reflect the extent of their learning? In this lively and eye-opening book, educator Myron Dueck reveals how many of the assessment policies that teachers adopt can actually prove detrimental to student motivation and achievement and shows how we can tailor policies to address what really matters: student understanding of content. In sharing lessons, anecdotes, and cautionary tales from his own experiences revamping assessment procedures in the classroom, Dueck offers a variety of practical strategies for ensuring that grades measure what students know without punishing them for factors outside their control, critically examining the fairness and effectiveness of grading homework assignments, designing and distributing unit plans that make assessment criteria crystal-clear to students and creating a flexible and modular retesting system so that students can improve their scores on individual sections of important tests. Click hear to read a sample. Authors Francis Bailey and Ken Pransky expertly guide teachers through the aspects of human memory most relevant to teaching in the classroom. Real classroom examples help teachers gain a deeper understanding of how memory systems play a central role in the learning process. This book offers fresh insights into students' learning difficulties and encourages teachers to explore classroom practices that align with the functioning of memory and the ways students learn. Literacy is a skill for all time, for all people. It is an integral part of our lives, whether we are students or adult professionals. The focus of Read, Write, Lead is to give all educators the breadth of knowledge and practical tools that help students strengthen their literacy skills. Author Regie Routman draws on her experience as a mentor teacher, reading specialist, instructional coach, and staff developer to offer time-tested advice on how to develop a school-wide learning culture that leads to more effective reading and writing across the curriculum. This title will help school leaders and teachers implement instructional practices that lead to better engagement and achievement in reading and writing for all students, from kindergarten through high school, including second-language and struggling learners; reduce the need for intervention through daily practices that ensure success; and embed the language of productive feedback in responsive instruction, conferences, and observations to accelerate learning for students, teachers, and leaders. In their own voices, teachers, principals, literacy specialists, and students offer real-life examples of changes that led to dramatic improvement in literacy skills and—perhaps just as important—increased joy in teaching and learning. Scattered throughout the book are “Quick Wins”—ideas and actions that can yield positive, affirming results while tackling the tough work of long-term change. In this updated second edition of her best-selling classic work, Carol Ann Tomlinson offers teachers a powerful and practical way to meet a challenge that is both very modern and completely timeless: how to divide their time, resources, and efforts to effectively instruct so many students of various backgrounds, readiness and skill levels, and interests. With a perspective informed by advances in research and deepened by more than 15 years of implementation feedback in all types of schools, Tomlinson explains the theoretical basis of differentiated instruction, explores the variables of curriculum and learning environment, shares dozens of instructional strategies, and then goes inside elementary and secondary classrooms in nearly all subject areas to illustrate how real teachers are applying differentiation principles and strategies to respond to the needs of all learners. In Hanging In: Strategies for Teaching the Students Who Challenge Us Most, veteran educator Jeffrey Benson shows educators the value of tenacity and building connections in teaching the students who most need our help. These students often arrive at school with unique mixtures of family histories, traumatic experiences, and special needs that test educators’ teaching skills and patience. This essential guide includes detailed portraits based on real-life students whose serious challenges inhibited their classroom experience--and how they eventually achieved success. It also includes specific advice for administrators on constructing successful school systems to give all students the best chance for success. It also includes strategies for analyzing and developing plans to help students discover a sense of comfort with learning--with in-depth examples of plans in action. In this guide, teachers will find the inspiration and field-tested ideas necessary to create a patient and supportive environment for even the most demanding cases in the classroom. ​Upgrade Your Curriculum: Practical Ways to Transform Units and Engage Students offers a solution vitalizing curriculum design and instructional practice by providing students with meaningful, relevant units of study developed by the educators who actually teach them. The authors, both curriculum experts, advocate a gradual approach to transforming curriculum in which teachers work collaboratively to upgrade one unit at a time.